Want to learn more about Social media job titles and descriptions? Social media has grown immensely over the years, and it has not only revolutionized many sectors and industries, but it has also revolutionized our society. Most importantly, it has changed the way brands markets themselves. Brands are essentially after one thing in marketing: your attention. And where your attention is, that’s where you can expect the brands to be. And as social media has skyrocketed in popularity, and the number of users has surpassed a whopping 2.5 billion, social media is where a lot of people’s attention is. As traditional marketing channels such as television, radio, and print are losing power and decreasing in ROI as a result of people using it less, marketers need to find new ways to reach their target audience. And what was once called a fad, is today a part of the majority of brand’s marketing strategies, including giant corporates like Coca-Cola and Adidas. As more than 88% of companies use social media for marketing, the demand for people who have the expertise successfully using social media has dramatically increased. This has led to tons of job opportunities, and most importantly, what you are here for, it has lead to the rise of many social media job titles. While many social media job titles have existed for quite some time, social media has become more extensive and taken a larger part in brands’ social media marketing strategies, and this has in turn also lead to the birth of many new social media job titles. The people who are working in the social media marketing space normally manage social media accounts, create content, share content, manage social media customer service, setting up strategies, developing campaigns, and much more. For someone who is operating in the space, taking care of all parts of a social media marketing strategy is virtually impossible, and this is also the reasons why different titles are needed. Normally, people with different social media job titles work side by side towards the same goal. 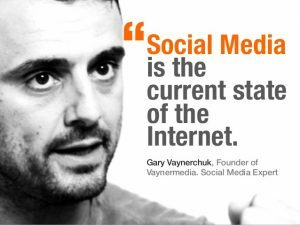 And in generating amazing results within social media, it is needed that all aspects of the social media marketing are managed. Because neglecting some parts of your social media marketing strategy is like building a house and forgetting parts that should be there. There are a lot of social media job descriptions, but not all will be completely unfamiliar to you. Because the fact of the matter is that a lot of traditional marketing jobs are still important for social media marketing, it’s just that the job has shifted place from other marketing sources to no taking place on social media. What’s more, sometimes it is tricky to know where one social media job ends, and where the next begins. 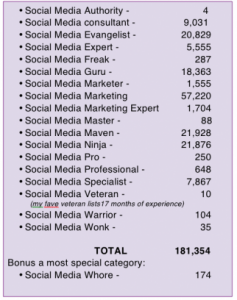 Whether you are looking for jobs and don’t know what social media job titles you should be looking for, if you are working with social media marketing but don’t know what to call your social media job title, or if you are planning on hiring someone but don’t know what to call the job, this article will teach you all the social media job titles that exist. As you can assume, several of these social media job titles essentially entitles the same things, and some are very closely related to each other. Therefore, for some social media job titles, it’s more about which you think sounds the best, or best describes what you are doing. Sure I agree that there certainly is an abundance of social media job titles and that it can get ridiculous, however, the market is the market and we’ll have to play on those rules. Why should you care about social media job titles? I think we can agree on the fact that there are far too many social media job titles than what’s needed. But don’t blame me, though. I am just mediating the words and opinions of the market. But in this list, many of these titles are actually needed, and they’re universal job titles that best describe people who are working in marketing but having their specific area of expertise social media. In other words, most of these job titles are niched and micro descriptions of people who are working specifically with social media. For instance, some might argue that there’s no need for the title ”social media customer service manager” because essentially, that job title can just be ”customer service manager”, but if your job is solely focused on managing customer service on social media, then why not, right? At the same time, social media job titles can be a bit tricky. Because at first glance, it might be impossible to know what exactly that job title entitles and what that person does. To some, using these titles is silly, but to others, it allows brands to show their personality and what they’re all about. Additionally, in hiring people for that job, it can filter out people who aren’t aligned with the brand’s values. So if you put out an application where you hire a ”social media rockstar”, if people are turned off by that job description, they probably aren’t a good fit to your brand’s culture anyway. Those who view these social media job titles as something negative are the people who argue that they make brands seem amateurish, unprofessional, and confusing. But apart from all the social media job titles, whether they’re traditional, unprofessional, traditional, or anything else, it’s crucial that you realize that what matters isn’t the title you have but more about what you do and what you accomplish by leveraging social media. So whatever you do, don’t get stuck in trying to find out what title you’re going to have, because really, that’s not what’s important. Wha’s important is what you do. Now, with all of these social media job titles listed, I am sure that there are a lot of question marks because chances are, you only know of a few. So let’s dig into the most common ones and explain them. But remember, the titles that leverage common business job titles aren’t very different from the traditional job titles. The only major difference is that it takes place on social media. That’s it! For example, a social media manager isn’t a lot different from a store manager, if we are going to go very basic, they both manage things. They might manage people, strategies, and plans, but the difference is that the other one manages things on and around social media, and the other one managers a store and things around the store. This is a job title that is most common with large corporates that have to pay great attention to law and rules. This individual makes sure that the brand’s social media activities are defined and follow a policy. A brand ambassador is often an employee of a brand who has specific expertise in a particular product or area which the brand is operating in. This individual helps give an expert take on things and offer expert help. But the fact of the matter is that a brand ambassador has two meanings. The other definition, which is also the one that is most frequently used, is that a brand ambassador is a person, normally an influencer or a celebrity who is paid to promote a brand – often on social media. A community manager has the job to manage and have control over the communities that the customers are creating, and the discussions they are having about the brand. Since more and more people are taking to social media to share their thoughts and experience with everything they have gone through during the day, and sharing every single thing they do, this conversation has moved from traditional word-of-mouth where people talked with their friends about their brand experiences,but today, many are taking it to social media, which means that finally, the conversations and the sentiments of the conversations can be identified and listened to by brands. And this is the job of the community manager. A comment moderator ensures that the rules are followed within the community. They are individuals who help with the practical things in a forum, including usage. Since the conversations are taking place non-stop 24/7, a person who has this social media job title must be approachable at all times. A social media strategist’s job is to help the brand define strategies for achieving the brand’s goals. For instance, if the goal of the brand is to increase brand awareness, this individual should present a plan with strategies on what they can do to achieve and work toward that goal. A social media manager is often an individual who also take care of developing strategies, too, which means that a social media strategist can also be a social media manager and vice versa. A social media manager makes sure that the activities and campaigns run are supporting the brand’s goals and helping it get closer to them. The social media manager develops and manages campaigns, as well as takes care of the day-to-day activities on social media, such as coming up with topics that resonate with the target audience, and things that will allow the brand to reach its target audience. Lastly, the social media manager develops topics and ideas around which content will be created. The social media manager is really a person that takes care of a lot of bits and bobs, just like a normal manager does. This individual manages a team who have the job of analyzing and evaluating data to present comprehensible statistics and conclusions which provides insight into how the business performs within a particular area, or with particular campaigns. In social media contest, this means that this individual collects, studies, and evaluates data generated from a brand’s social media marketing efforts, to ultimately draw the conclusion that the brand and campaign performed well or poorly. A content manager doesn’t only have to work within social media, but if the job title is going to be specific, it is sometimes made into ”social media content manager”. The job title is quite revealing, but this title involves controlling and overseeing the content that the brand shares on social media. The person is often also responsible for fine-tuning, editing, updating, and sharing, as well. The content manager does not normally create the content, but often together with the social media manager, they create a content strategy which they’re going to follow and have the content manager to create the content for it. I greatly emphasize the importance of content who working with social media. And the reason is that social media is based on content, and if you don’t have any, you won’t generate any results. Moreover, just sharing any content isn’t enough, either. Because more content than ever is being shared on social media, and this means that standing out with your content is more difficult than ever because it is so saturated. This is why you have to share amazing high-quality content on social media if you want to succeed. Your content is your value proposition on social media because after all, the reason people follow you on social media is to have your content in their feed, but if you don’t have any content, they don’t have a reason to follow you. It is also with your content that you’re going to impact your audience and ultimately convince them to buy from you. With all of this in mind, the content creator is a tremendously valuable individual in the social media marketing strategy. Because without content, there will be no social media results. The content creator creates and develops content for the brand’s social media strategy, sometimes according to their own ideas, but often based on the content manager’s, and the social media manager’s ideas and requests. And most importantly, following the content strategy, which is developed by the content manager and social media manager. Another very important social media job title, or more correctly job, is the social media relations manager/director. Social media is called social for a reason. You’re meant to be social. And the best part is that more and more brands have started to realize that social media isn’t like other traditional marketing sources where the way you generate amazing results isn’t by shoving as many ads down people’s throats as possible, but instead, it’s by building strong relationships with people which in turn leads to trust. Therefore, brands have to realize (and are starting to) that social media isn’t an advertising tool, it’s a relationship tool. Because relationships lead to trust, and trust leads to sales. So, to describe the title, the social media relations manager focuses on customer relationships by leveraging social media as a relationship tool. They engage, interacts and strengthen relationships with customers. 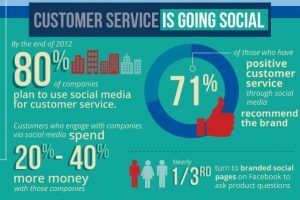 More and more people are turning to social media for customer service. And that’s not surprising, really. People are spending more time than ever on social media, and as a result, social media becomes a natural way of reaching out to brands. People hate sitting in long customer service phone lines, or sending an email and waiting 24 hours for a response. So instead, while they’re on social media, they just shoot a message and then wait for a response. And since social media is online 24/7 all day every day, they expect responses from brands quickly. In fact, a study by sprout social found that people expect brands to respond within 2 hours on social media, but the sad truth is that brands respond after an average of 10 hours. But with more and more people turning to social media for customer service, there have to be people on the other line to meet and respond to the messages, and that’s exactly what a social media customer service manager does. What this individual does is not very different from what a regular customer support individual does. The only difference is that it is done on social media. As more people are turning to social media, people are expecting brands to respond, and this is why brands have to have the right resources in doing so. For how long will these social media job titles be relevant? Social media is a quickly evolving landscape, and so, many of these social media job titles will become irrelevant quite quickly – and many of them have. Because among the ones listed are those who have been used, are used, and have started to get used. Something you shouldn’t do, though, is to give yourself titles based on the tools and social media platforms you’re operating on now. For instance, The people who called themselves Vine managers are out now because Vine doesn’t even exist anymore. What we can know with a quite high certainty is that nothing will change within the next year or two. It is in the timespan of five years we can expect major changes on social media – and thus, the social media job titles will have to change accordingly. It is crucial that you understand that social media is about leveraging tools, but that it falls under a larger category. This is why social media job titles often can be very confusing, and make it seem like it is something completely different from what it is. The only difference from more ”traditional” form of marketing efforts is essentially that it is taking place on social media, nothing else. For instance, if you have are a policy and communications specialist, that’s a title you can have, even though you’re working with social media because that title is inclusive to social media but not specific to it. Social media has exploded in popularity in just a few years, and now, more and more brands are starting to realize the importance of leveraging social media as part of their marketing strategy. But while some people believe that the way you succeed on social media is to post a few posts and then wait, the reality is a lot different. Social media success demands great planning, consistency, and having the expertise needed. With that in mind comes a great need from brands who are hopping onto social media to have the right people who can help them leverage social media and generate amazing marketing results, and for individuals who have the expertise in doing so. Followingly, social media is a huge space, and therefore, a lot of jobs have been created within that area since the birth of social media, and those jobs entitle different things. As a result, plenty of social media job descriptions have been ”invented”. And if you are working in the social media space, you probably want to define yourself as something, and give yourself a social media job title. But that obviously demands you to first know what they mean and what they entitle. If you are working within social media, what do you call yourself? Let me know in the comment section below, I am more than eager to know! Are you looking to design a logo for your business? Try an online logo design tool today and design your logo under 10 minutes. PrevHur Laddar du Ner Videoklipp på Instagram Direct Message?